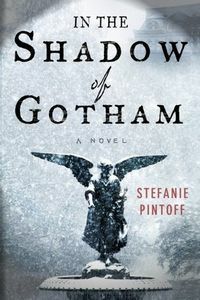 In the Shadow of Gotham by Stefanie Pintoff: Synopsis and Online Purchase Options. Synopsis (from the publisher): Dobson, New York, 1905. But only a few months into his new life in a quiet country town, he's faced with the most shocking homicide of his career to date: Young Sarah Wingate has been brutally murdered in her own bedroom in the middle of an otherwise calm and quiet winter afternoon. After just one day of investigation, Simon's contacted by Columbia University's noted criminologist Alistair Sinclair, who offers a startling claim about one of his patients, Michael Fromley—that the facts of the murder bear an uncanny resemblance to Fromley's deranged mutterings.